Do you have food memories? I do. It's a little scary how many times I remember what we ate during a special occasion and not remember much else. I remember having this cake from my nephew's 1st birthday party six years ago. I don't remember what we had for the birthday dinner, but I remember this cake. I've been wanting to make it since that birthday six years ago. The recipe comes from my sister-in-law's mother-in-law, who we call Grandma Krantz because we see her often and she's so sweet to my kids. It's a one of Grandma Krantz's favorite cakes and she was sweet to let me share it here on my blog. Let's talk about the cake. 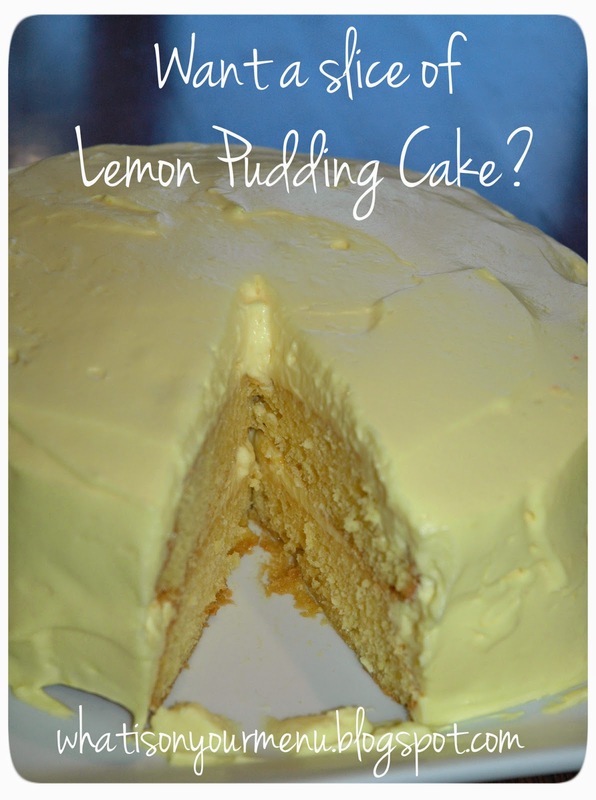 It's a delicious two layer lemon cake, but the "frosting" is the best part. I'm not a big frosting fan (the powdered sugar and butter kind), but this frosting is different. Probably because it's not really frosting. 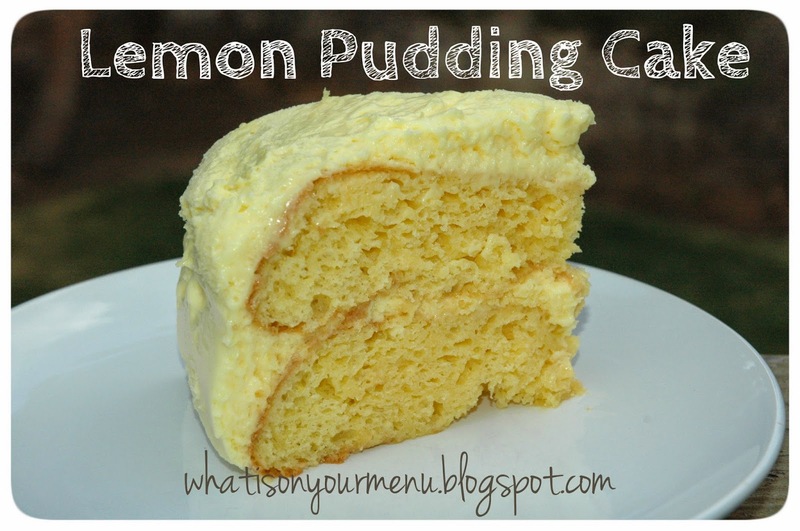 It's whipping cream and pudding beat together and it's light and fluffy and lemony. I made this cake for Easter dessert. We made a dent in it, but after everyone having a slice, plus taking a few pieces to my neighbor, I wondered what we were going to do with the rest of the cake. I talked about it in my menu post this week. Fortunately, having leftover cake wasn't much of a problem. I sneaked a little piece before lunch the next day and it was downhill from there. The cake tasted much better the next day. The flavors had melded together more and it was heavenly. Let's just say the cake was gone in a flash. So, this is definitely a great cake to make ahead and let chill out in your fridge for a while, even a day or two ahead of when you want to eat it. I like making cakes because I get to use my tricks to remove the cake from the pan without sticking. Read about it here. Whisk together cake mix, cake flour, and jello powder. Add oil, eggs, and water. Beat for 4 minutes. Prepare two round cake pans, (read my tips for greasing cake pans here). Divide cake batter into cake pans. Bake at 350 degrees for about 25 -30 minutes. Add pudding mixes to cream and begin beating. As soon as mixture starts to thicken and is smooth, add milk gradually and then beat hard until mixture is stiff. Apply frosting in between the cake layers and covering generously the outside of the cake.